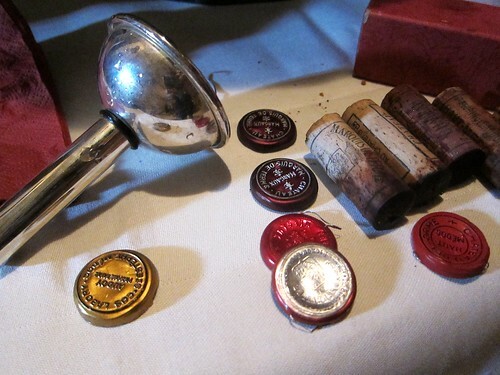 Thus, tasting some wines from that decade is always something special and I was thrilled when Oskar invited me to his round of friends when he was once again sacrificing some of his treasuries he had gathered over the years. It hurts him just a little bit, but it is certainly for a great moment of fun. The first crucial moment of the evening is of course when the corks are being pulled, and with a bit of luck it happens that relief sets in as all bottles appeared to be flawless and started diffusing the most appealing perfume. After a nice dinner we started geographicaly in the Southern part of Haut-Médoc and chronologically in the first great vintage of the eighties with a 1982 Château Bel-Orme-Tronquoy-de-Lalande. For a Cru Bourgeois it showed beautifully with a sweet nose of berries with a certain malt sweetness, and later also some fresh mushroom with forest floor. The palate was totally opposite rather rustic, with a more broad acidity. Loads of tannins showed that this wine could still keep for a few years. With a little time some more clear black currant notes appeared. Yet with a certain shortness in the finish and this slightly unelegant acidity it is clear it’ll never make it up to its Grand Cru neighbours. 85 points. 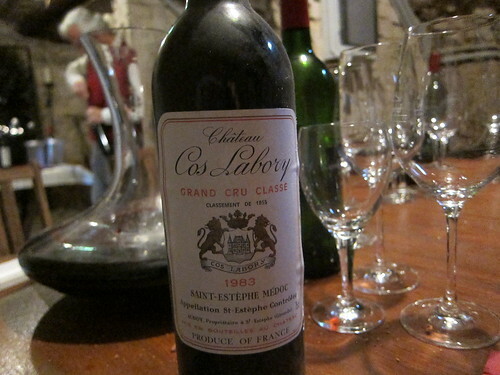 The second wine brings us to St-Estèphe with the well Known Château Cos Labory from the 1983 vintage which has always been misprized in the shadow of the great 1982 precursor vintage. Compared to the first wine we have a different kind of style, more close to the notion of Terroir in my opinion. 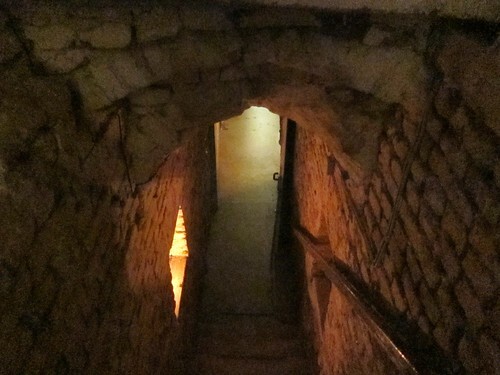 Its nose revealed rustic earth tones but mixed with the finest smell of sweet raspberries: an irresistible perfume. Later torrefaction notes with coffee also jumped in. A true icon of the eighties was next. The 1985 Château Baron Pichon Longueville de Lalande was our first Pauillac and was unmistakebly a genuine amabssador of its Terroir. A proud figure with an aristocratic nose of Bell Pepper revealing Cabernet and mixed with sweet berries and also some fresh menthol; to die for. Later some more bacon and meat notes also appeared. Its body is fleshy and with the typical saddle leather aromatics and of perfect structure with powder-like tannin, but also with enough black currant on the fruit-side. It has just the right weight on the palate and shows a superb finish. What a length! There might be better Pichon vintages, but they would all strive to achieve this particular style and taste scheme. For me probably the wine of the night, unexpectadly beating a bottle I thought would take the crown. 95+ points. We were heading South now, aiming for the gravel soils of Margaux. 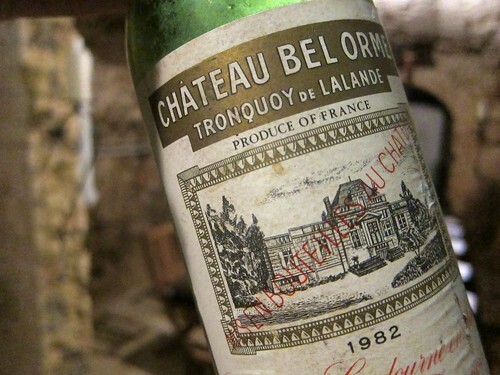 The 1986 Château Marquis de Terme is a charming representor of its style. With its sweet and intensely perfumed nose of dark fruit it instantly captured many fans that night. On the palate its roundness and broad fruit style with only a minimal amount of tannins had the same effect. 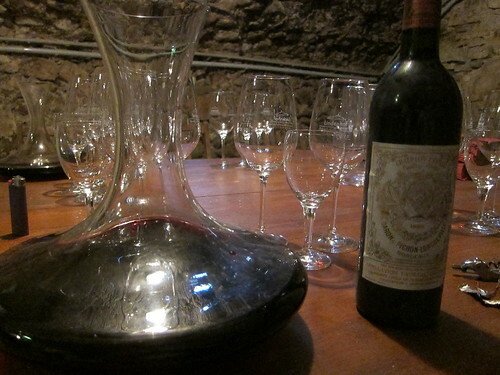 It is certainly easy to fall for such a wine after the more aristocratic Pichon Baron but when examining closer it falls short of complexity and is rather one-dimensional. A ladies’-wine, many would say and thus confirming this cliché of the Margaux style. But I certainly know a few ladies who would prefer the power of the Pichon Baron over the fruit of the Marquis. I can understand though, that after 2 more structured wines, a soft and round wine can appear as a blessing for some. 90 points. 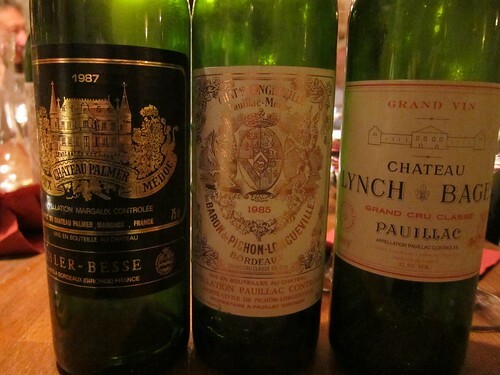 The potential king of this tasting would emanate from a jump back North to Pauillac and into the legandary vintage of 1989. 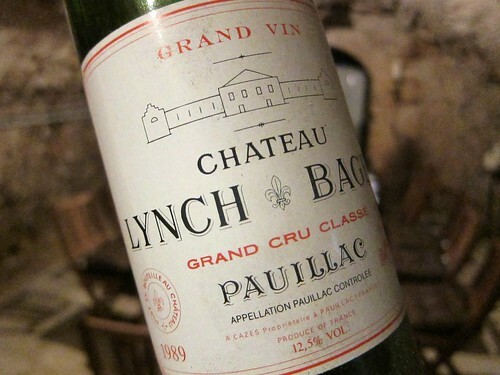 The 1989 Château Lynch-Bages was the most impressive wine of a former tasting. But back then I concluded that it would have been even better with a propper decant. And so it stood 3 hours in a carafe this time, wating for its majestic entry onto the stage. But things often happen differently than you’d expect and so the wine didn’t really improve on the decant and only suggested its greatness. The nose was clearly closed, with only a little fruit and some leather and slight menthol aromatics. On the palate, the flawless structure was present, with a superb weight and balance. But the fruit complexity I had expected was missing. The more leather like aromatics were on the front right now. Nevertheless it showed a nice presence and length. Maybe someone with more experience could explain me what has happened. Too long of a decant? Still, I believe in the potential of this wine, a long runner which is far from arriving at its destination. One of the great wines of 1989, and had I given it 95+ points a the last tasting I have to go down to 91++ this time. Luckily those ratings are only snap-shots of a wine. Wow this was a great tasting! And I couldn’t be thankful enough for having participated! It is always great to see how well good Bordeaux can hold in your cellar and unfold all their magic after some 20 to 30 years. 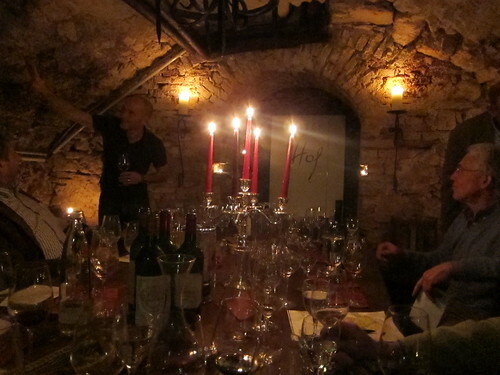 A tasting like this is something which would convince anyone who thinks Bordeaux is old-fashioned and boring. Looking forward for more. 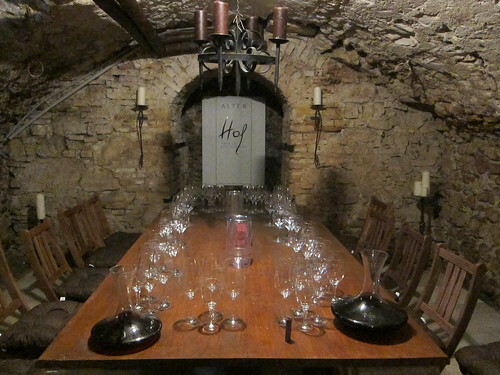 … a perfect wine-tasting atmosphere!